Qualcomm, the American wireless telecommunications research and development company, being one of the most active at the Mobile World Congress 2011 (MWC 2011), taking place in Barcelona showcased a tablet/eReader device featuring the Mirasol display. The technological display is a major innovation in the field of display technologies, with the Mirasol display to gather pace on the mobile front. Back in 2004 Qualcomm acquired Iridigm Display Corporation, a company which developed the IMOD technology. 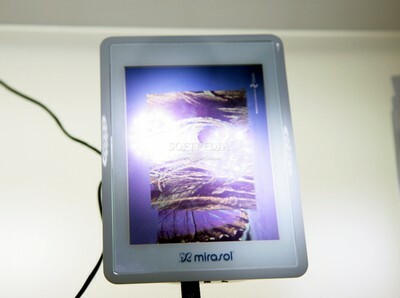 The Mirasol display, compared to regular LCD panels is more energy efficient and blends in with devices such as cell phones and eBook readers perfectly, while offering a prolonged battery life. Furthermore, the technology is better than LCD legibility when exposed to direct sunlight as it reflects the ambient light. This increases the brightness of the display in well-lit environments. For now, the technology has been only used on a limited number of devices, including some stereo Bluetooth headsets, mp3 players and a few cell phones designed for the Asian market.